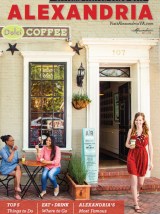 Named one of the area’s top shopping destinations by the Washington Post and the Wall Street Journal, Old Town Alexandria boasts a blend of independent galleries, stylish boutiques, vintage shops and national retailers. Fashionistas and designers flock to the Old Town Boutique District, where 30+ independent shops offer high-end fashions, artisan jewelry and home decor. Locals know to hit King Street for hard-to-find international labels alongside well known big-name brands.